The April/May edition is here! 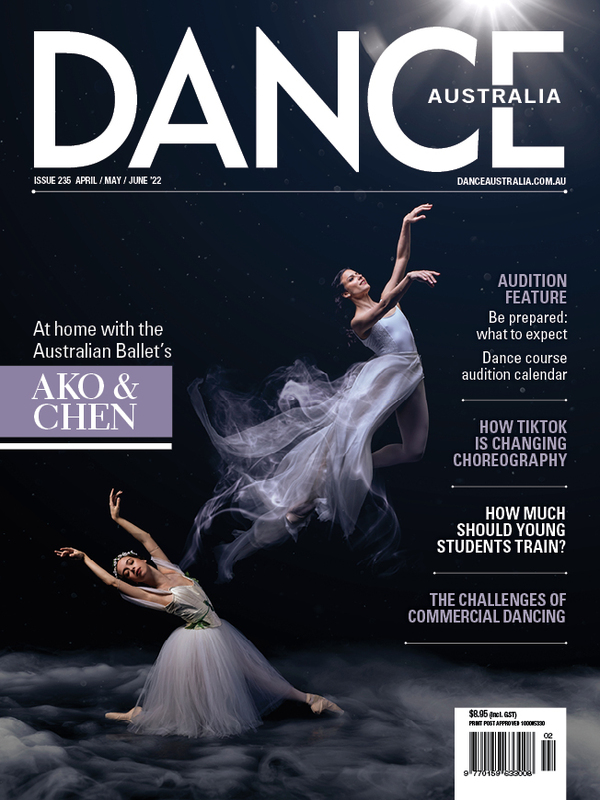 The April-May issue of Dance Australia is out now, packed full of great stories! When Jana Castillo won the 2018 Australian Dance Award for Outstanding Performance by a Female Dancer, the judges didn’t know that she has a movement disorder that, at times, has left her struggling to walk, let alone dance. Castillo told Maggie Tonkin about the challenges she has overcome. West Australian Ballet demi-soloists Matthew and Oliver Edwardson are identical in more ways than one, discovers Nina Levy. Female choreographers tend to have been overlooked in recorded histories of classical ballet… but they did exist. Caitlyn Lehmann digs a little deeper to reveal the women who created and presented work in the 18th and 19th century. Whether you’re a young male dancer, or a parent, Jake Burden is here to answer all your questions about boys’ dancewear. Dr Stefanie Feierabend went behind the scenes this year’s Prix de Lausanne, to tell you about the ins and outs of this prestigious international competition. Don't miss out! Look out for Dance Australia at your favourite retail outlet, or buy it online here... OR never miss an issue by subscribing here. On the cover of the April/May '19 edition of 'Dance Australia' are Candice Adea and Julio Blanes of West Australian Ballet, photographed by Frances Andrijich.